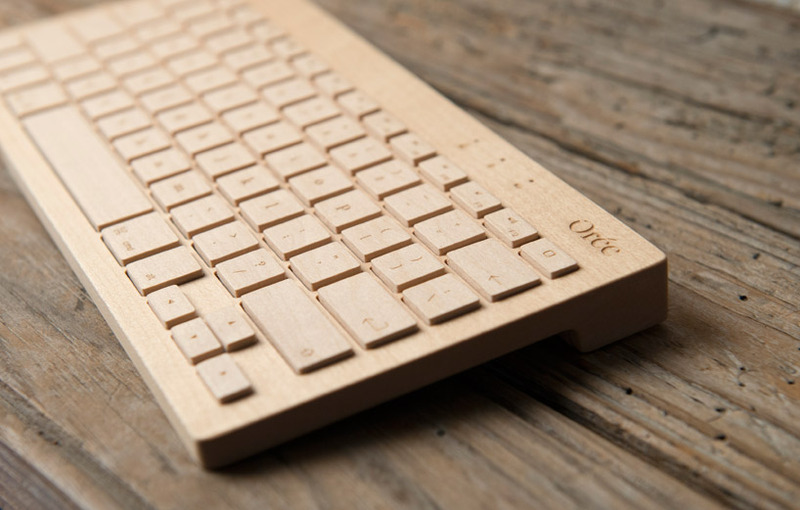 french design group orée has developed the ‘orée board‘, a bluetooth equipped wireless keyboard constructed from premium maple or walnut. beginning with a single piece of wood, the expert craftsman deconstruct it into three sheets. by doing so, they are able to maintain the continuity of the wood grain throughout the final work. 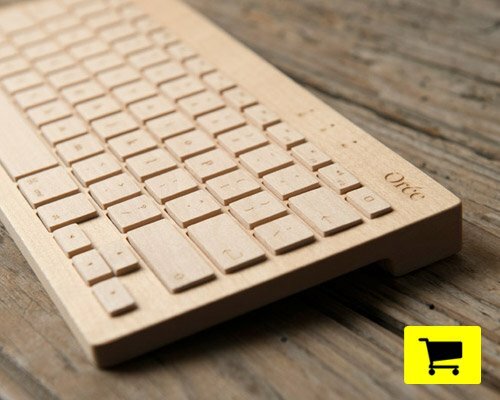 a universally compatible device, the keyboard brings nature into the technological realm to an unprecedented degree. users can appreciate the feeling of highly finished, sustainably sourced wood from the south of france at their finger tips while connected simultaneously with up to five devices. designboom has received this project through its ‘DIY submissions‘ feature, which welcomes readers to submit their own work for publication. you can purchase this product, and many more original design items, on the designboom shop — our international, digital marketplace of specialized design merchandise. It sure is real. Did you not read the text? I made an wooden ipod once. if it’s really done by hand its an incredible amount of work for something which doesn’t quite justify it. If it’s done using cnc or similar it would make sense however its silly to put pictures with hand tools trying to give the “handcrafted look”. dont they face copywrite issue for copying the apple keyboard. The keys are identical in size/ placement. Gorgeous – just purchased one! Can\’t wait to get it and I will proudly have it on display rather than my Apple keyboard that is only 2 years old, made in China and already broken. For this amount of work it seems cheap. it says hand finished, not hand made, so it would just be clean up after production on a cad machine most likely. I can not imagine how long is the hole prosses taking time. Great job!